The US government has reopened an investigation into the 1955 murder of a black 14-year-old boy whose death galvanised the civil rights movement. A Department of Justice (DOJ) report states the agency had received “new information” about the Emmett Till case, but offered no further details. Till was murdered in Mississippi after a white woman accused him of making lewd remarks and touching her. A recent book quoted the woman as admitting she lied in her testimony. The DOJ investigation was announced to lawmakers on 26 March, but has come to light this week after a report by the Associated Press. It is unclear what new information prompted the government to reopen the case, but a book published last year, The Blood of Emmett Till by Timothy B Tyson, had said Carolyn Donham, the white woman who testified against Till, admitted she lied about the teenager’s actions in 1955 during a 2008 interview. “Nothing that boy did could ever justify what happened to him,” Mr Tyson’s book quotes Donham, now in her 80s, as saying. In a letter to a US lawmaker last year, Acting Assistant Attorney General T E Wheeler II had said that the DOJ was “assessing whether the newly revealed statement could warrant additional investigation”, the Clarion-Ledger reported. Last April, the Ledger reported that Till’s relatives had urged Attorney General Jeff Sessions to reopen the case. Till’s cousin Deborah Watts said she had not known about the reopened investigation until Wednesday, the AP reported. She said the news was “wonderful” but did not want to say anything further to jeopardise the investigation. The Till case had been closed in 2007 after authorities reported all suspects were dead. The 2018 report on Emmett Till is the seventh submitted to Congress, according to the Emmett Till Unsolved Civil Rights Crime Act of 2007. The act requires the attorney general to conduct an annual study of unsolved civil rights crimes and report any findings to Congress. In 2016, the act was extended for an additional 10 years. The DOJ report says that Congress “has stressed” its desire for the department to “continue its efforts to bring justice, wherever possible, to unsolved civil rights cases”. Following the news of the case’s reopening, Emmett Till began trending on Twitter. Some users called it a step towards justice at last, while others said it was a symbolic gesture that meant nothing while black men were still facing police brutality across the US. Civil rights figure Rev Jesse Jackson called for anti-lynching laws on Twitter. Academy Award nominated film director and producer Ava Duvernay said Donham should be jailed as an accomplice to murder. On 24 August, 1955, Emmett Till went into a local store in rural Mississippi to buy some bubblegum. Carolyn Bryant (now Donham), was working there while her husband, the shopkeeper, was away. What happened between them is not clear but when her husband returned, he was led to believe that Till had whistled at his wife. Later, Till would be dragged from his bed at his uncle’s home and beaten so badly that his face was unrecognisable when the corpse was recovered from the river three days later. The two men known locally to have carried out the attack were acquitted of murder by a jury. The following year, they admitted responsibility in a magazine interview, but said they had done nothing wrong. 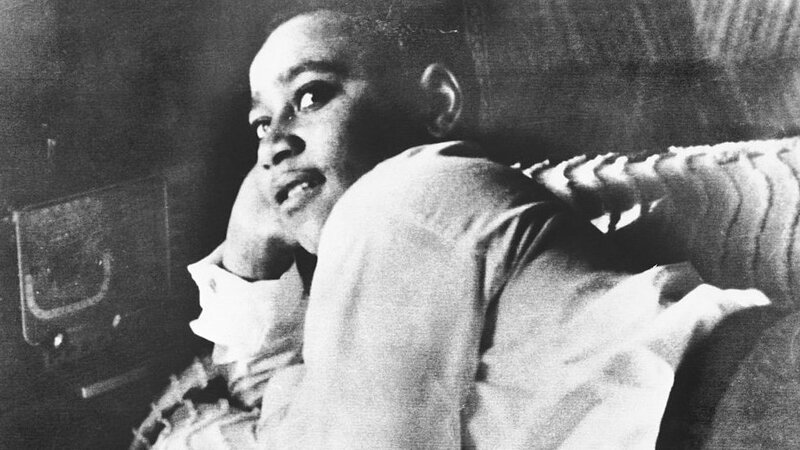 Till’s death sparked massive rallies across the country – including one hosted by a then-unknown Martin Luther King Jr. Rosa Parks later said she had Till in mind during her now famous protest. Till’s death is also thought to have played a part in the congressional discussions that led to the 1957 Civil Rights Act, which increased African American voting rights.